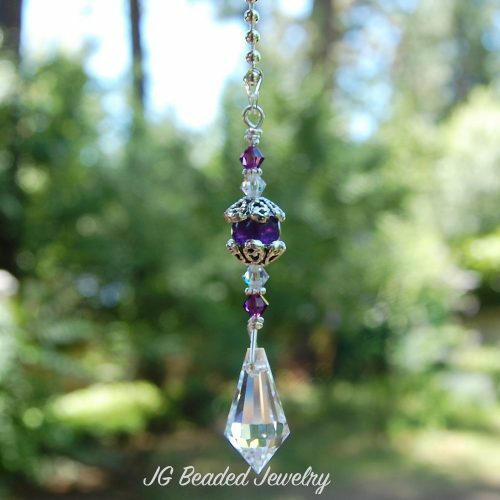 This purple crystal light pull or fan pull is wire wrapped and made for strength and attention to detail with a length of 8″. 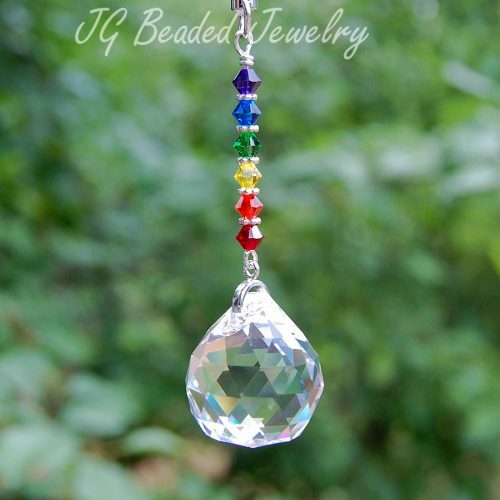 The clear prism crystal is slightly smaller than one inch and would be perfect for giving your room a little sparkle! 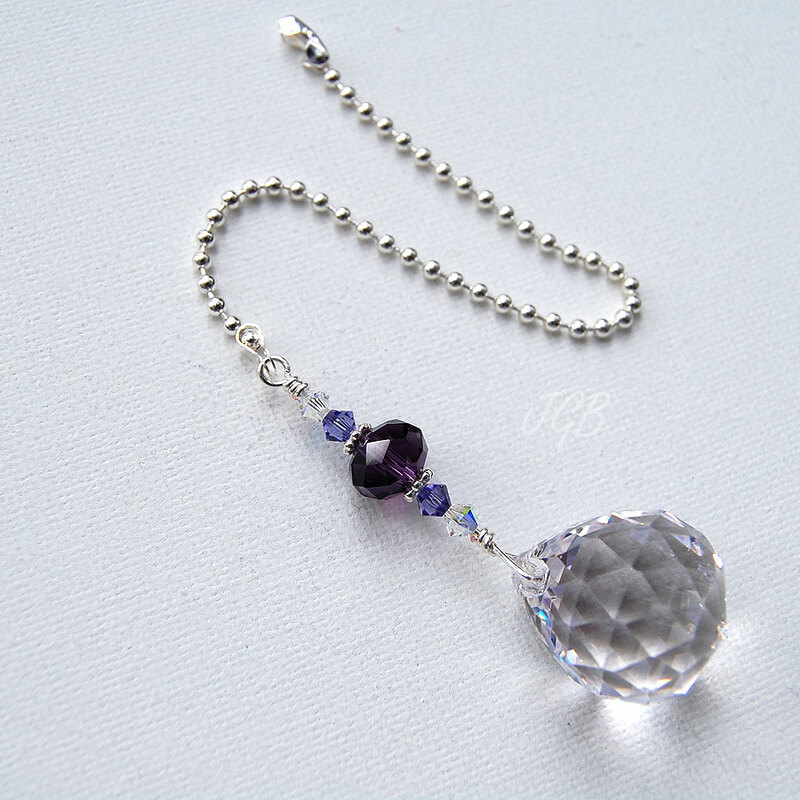 The crystal suncatcher fan/light pull is uniquely designed with flawless iridescent and tanzanite Austrian Swarovski crystals, a deep purple faceted crystal bead and accented with fancy silver metal beads. 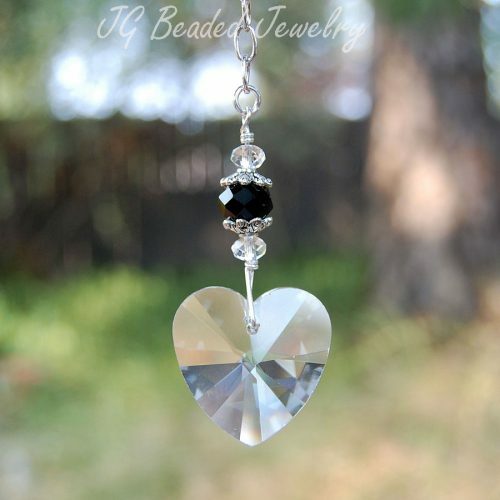 The ceiling fan or light pull is designed with a 6″ silver ball chain with connector for easy attachment to your existing chain! 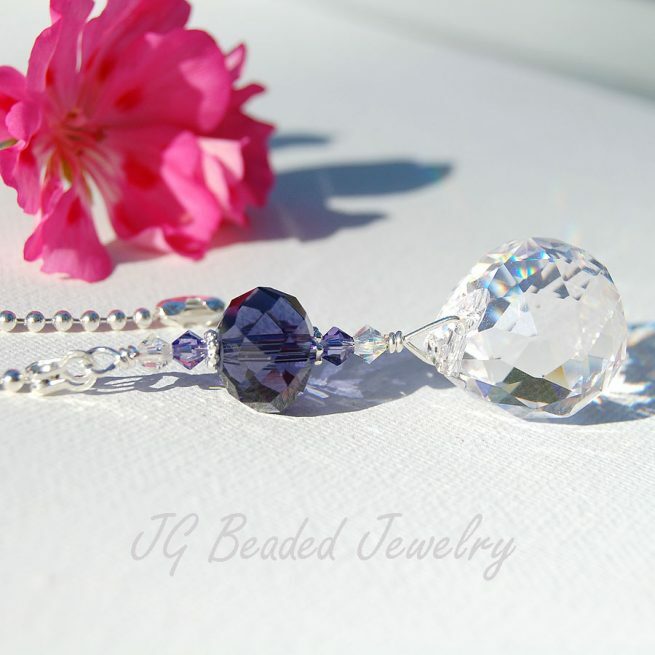 If you would like more than the quantity available, a longer chain, different color combo or custom design – please send a message with your request! Find more light/fan pulls here!